Properly caring for microfiber towels is an important step to maintaining a scratch-free shine on any vehicle. Washing and drying microfiber towels properly ensures towels last longer, stay softer, and produce better results when detailing. Washing your towels incorrectly can ruin your towel collection and lead to poor results when detailing. 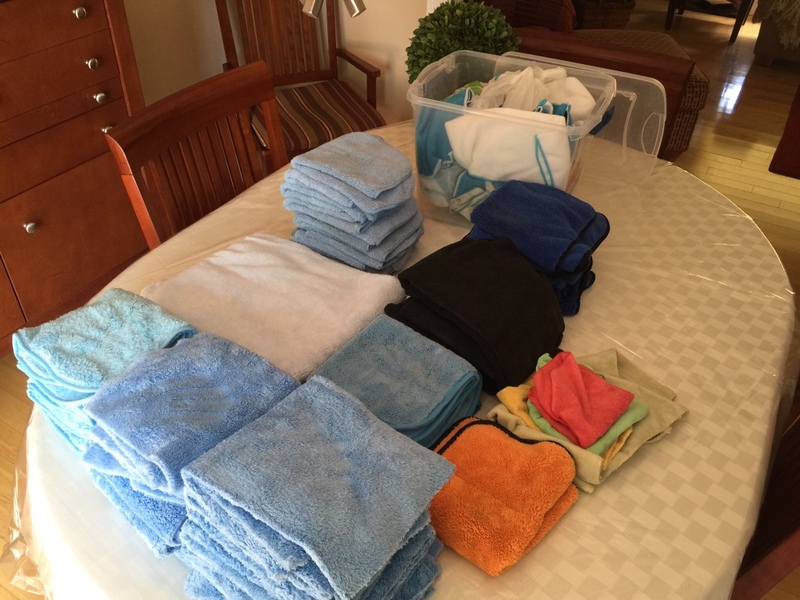 The following is a complete guide on how to properly wash and dry your microfiber towels. If you follow these steps, your microfiber towels will stay soft and last longer. Step 1: Separate Your Towels – In the world of microfiber, there are many different types of towels for everything from interior detailing and drying, to wheels and engine bays. All these different towels encounter unique types of dirt and contamination when working around the vehicle. Microfiber towels that are used for cleaning wheels are going to be dirtier than towels used to clean windows. Before washing your microfiber, it is good practice to separate your towels into specific groups such as interior, windows, wheels, exterior, engine bays, etc. Washing your towels in separate groups reduces the change of cross-contamination during the washing process. If you wash your waxing towels and your window cleaning towels in the same load, wax residue can become embedded in the window towels and can cause streaks when cleaning glass. To ensure microfiber is washed properly, separate towels before washing. Step 2: Use Proper Microfiber Wash – Choosing the correct microfiber wash solution is important to maintaining the condition of your microfiber. Using generic laundry detergent can reduce the life and performance of microfiber towels. We recommend only using a microfiber specific washing solution, such as Chemical Guys Microfiber Wash, to achieve the best results when washing your towels and microfiber goods. Microfiber Wash is designed to safely remove dirt and contamination from your microfiber without harming the material. Using generic laundry detergent can make microfiber feel stiff and rough. Chemical Guys Microfiber Wash is designed to make microfibers feel soft and plush for improved performance. DO NOT USE FABRIC SOFTENER! Fabric softener clogs the fiber material and reduces microfiber performance. Fabric softener blocks liquids from being absorbed by the microfiber material. Always use a microfiber specific wash solution for best results. Step 3: Choose The Correct Wash Settings – Now it’s time to wash the microfiber. Place all your microfiber goods in the washing machine. Select “Hot” for the water temperature. Washing microfiber with hot water opens the fibers to release dirt and contamination. For the speed speeding, select “regular” to properly clean the dirt out of the microfiber goods. Add 1 oz. to 4 oz. (depending on load size) of Microfiber Wash to the machine. Press start and allow the machine to do the work. 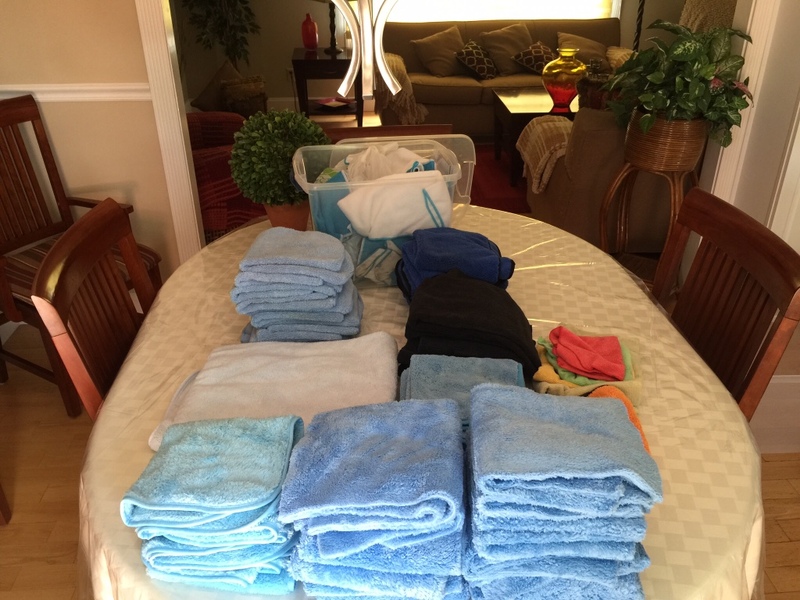 Step 4: Drying The Microfiber – Now that the towels are washed, it is time to dry the microfiber. Machine drying is recommended to ensure the towels are clean, fluffy, and ready to detail. Place all your microfiber goods in the dryer, and set the temperature to “low”. Do not dry microfiber goods on high heat. Using high heat on microfiber can fry the polyester in the microfiber, causing the towel to feel stiff and hard. Towels that are dried on high heat can lead to scratches and swirls when used on paintwork. Dry microfiber goods on low heat for the best results. Step 5: Fold & Storing Microfiber Goods – Once the towels are dry, properly fold and store the microfiber goods for the next detailing job. Microfiber goods can easily hold dirt and dust. To ensure microfiber towels stay clean, store the towels in a clean cabinet or container. Storing the towels properly can ensure that no dirt, dust, or debris lands on your towels and you can achieve better results when detailing any vehicle. Now you know the proper steps to care for your microfiber goods. Proper washing and maintenance of your microfiber goods will keep your towels and applicators lasting for years. Knowing how to care for your microfiber goods will produce better results on any detailing job! Great write up Greg and the micro fiber wash smells great too!! I may have to start using the coin opps like in your YouTube video, I'm catching hell at home using the family machine haha. Been washing mine all day ! Very nice, is this chemical available in Australia? I just have few new towels and kids bedding but there are some stains on it. Last edited by Setec Astronomy; 03-10-2019 at 12:28 AM. Hey Guys, I'm sure you all know how important it is to keep microfiber towels clean. You can do it in confidence knowing that you can use this detergent without damaging the tiny hairs that are so crucial to picking up dirt from your cars surface.